الخيار الأفضل للحصول على المتعة والاسترخاء، M1 Resort يقع في منطقة رائجة من أفضل مناطق المدينة. يسهل الوصول إلى هذا الفندق ذو 4.5 نجوم من المطار، فهو يبعد عنه مسافة 10km فقط. يقع هذا الفندق الحديث على مسافة قريبة من المعالم السياحية الشهيرة. إن الخدمات التي يقدمها M1 Resort تضمن للنزلاء إقامة مريحة. يقدم هذا الفندق العديد من الخدمات الكفيلة بإرضاء أكثر الضيوف تطلباً. تعكس غرف الفندق البالغ عددها 20 المنتشرة في 11 طوابق جواً من الدفء والألفة.خدمات عصرية مثل حوض الاسترخاء, غرف لغير المدخنين, مكيف هواء, تدفئة, شرفة/ تراس موجودة في بعض الغرف المختارة. يقدم الفندق مجموعة واسعة من وسائل الراحة المتنوعة، كمثل: مركز للياقة البدنية, مسار جولف - ضمن 3 كم, حمام سباحة خارجي, مسبح (للأطفال), حديقة. مهما كانت أسبابك لزيارة المدينة، فإن M1 Resort هو الخيار الأفضل لإقامة مثيرة وممتعة. The managers were absolutely lovely and welcoming. The room was also great. Very clean and tidy apartment with great views. Close to shops, restaurants and pubs. Slightly over priced but well worth the stay. Apartment booked was 1 bedroom, ended up with 2 bedroom, very spacious, great outlook, well appointed gym, swimming pool with a lap lane extension, within walking of distance of great cafes, large shopping complex, eateries, park with walking track beside river, child friendly with safe swimming areas, overall enjoyed our stay. Our 3 bedroom apartment was very spacious with big balconies and glorious views. Appropriately furnished for 5-6 people with room to spread out and relax. Everything we needed was within easy walking distance - cafes, restaurants, supermarket, shopping, beach, markets, movies. This was our second stay in M1 and we look forward to returning. It was great. My wife had to do some courses for a week in the centre of Maroochydore and this was the perfect place. Great location. Lots or places to eat. Rooms were very neat and tidy and large. Great views. Loved it. Location. Great staff. Clean & modern apartment. Found the M1 by chance when looking for some accommodation over the Easter weekend. Considering the inflated prices we were quoted by others, the M1 was very competitive and we were pleasantly surprised by the quality of the accommodation and really happy with the staff/management who made our stay really enjoyable. Will definitely revisit the next time we're travelling in that part of the world. We thoroughly enjoyed our weekend here, parked our car and never got back in it. Everything is walking distance. We had the best view of the mouth of the river out to the ocean. Only thing that wasn't perfect was the bed, not the best ive had for sure. 1) No free wifi. 2) The floors to the kitchen & toilets were dirty. 3) The shower head was not detachable so we had difficulties bathing the kids. 4) The whole appartment was dim. Very pleasant, clean, spacious and well appointed apartment. Will definitely return. Modern, spacious rooms, nice spa, close to shops, restaurants & the beach, great pool. Some rooms may not have the best balcony view although ours was great. Well Situated, well appointed, clean. The internet provider used by the resort provides a very poor service. 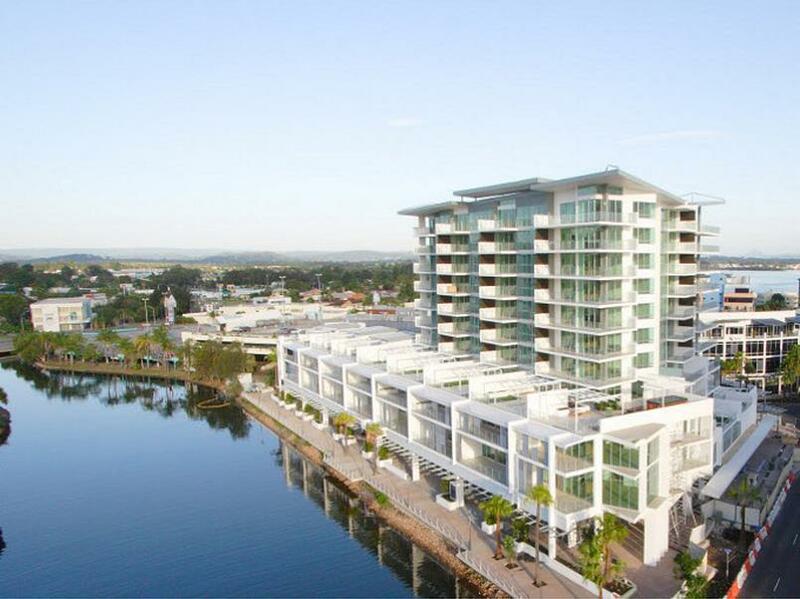 The M1 resort is well situated, on the Maroochy River close to the beaches, shopping centre, cinemas and numerous fine restaurants. The units are spaceous, clean and well appointed with outstanding balcony views over the nearby beaches and hinterland. the resort is extremely user friendly, from the secure off street parking, pedestrian accessand through to garbage disposal. I would highly recommend this resort as a holiday destination to couples or families. The only negative aspect I found at the M1 was the service, or lack of service, provided by the internet provider.